Home > Electricity distribution pricing: is it fixed yet and are we on track to addressing the problems? Distribution costs have been the biggest contributor to major increases in electricity prices in the last few years. In the latter half of 2012, the Prime Minister and Minister Ferguson made high-profile statements in regard to long-overdue market reforms, as did several State Ministers. 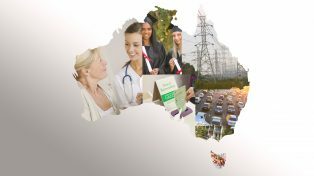 At its December meeting, the Council of Australian Governments (COAG) endorsed a package of energy market reforms for the National Electricity Market. But is there real commitment and will these deliver the necessary cost reductions? In Queensland, the LNP government has pushed to rein in electricity prices and froze tariffs for the 2012-13 year. However, a recent determination by the Queensland Competition Authority would see double digit price increases for 2013-14 due to increases in the underlying costs of supply, which are predominately driven by increases in network charges. At this seminar, John Pierce, the Chair of the Australian Energy Market Commission discussed changes to the way electricity network prices will be determined. Tony Bellas, the Chair of Queensland’s Independent Review Panel on electricity price reform, outlined the state of play in Queensland and Tony Wood, Energy Program Director at Grattan Institute, provided a comparison against the recommendations of the Grattan report Putting the customer back in front: how to make electricity cheaper.